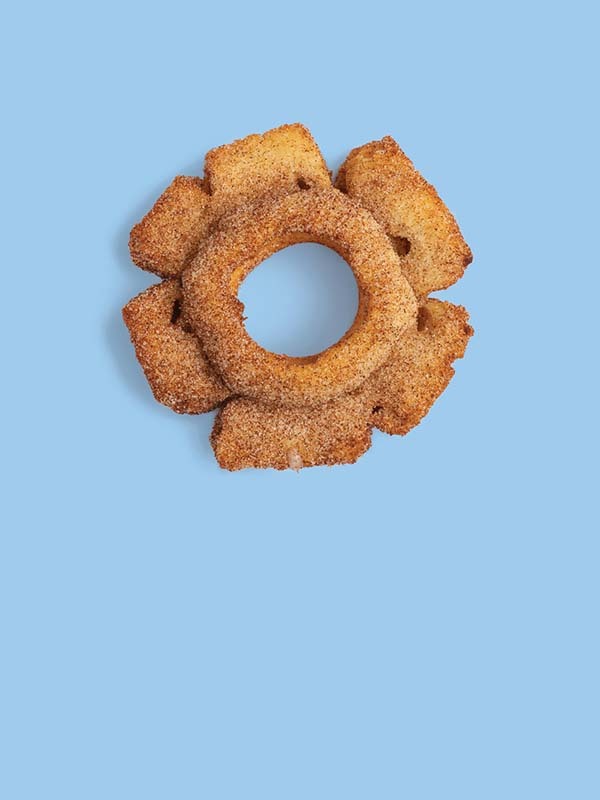 It is said that once upon a time two guys by the names of Phil and Sebastian, disappointed by the lack of quality donuts in their vicinity, decided to create their own. 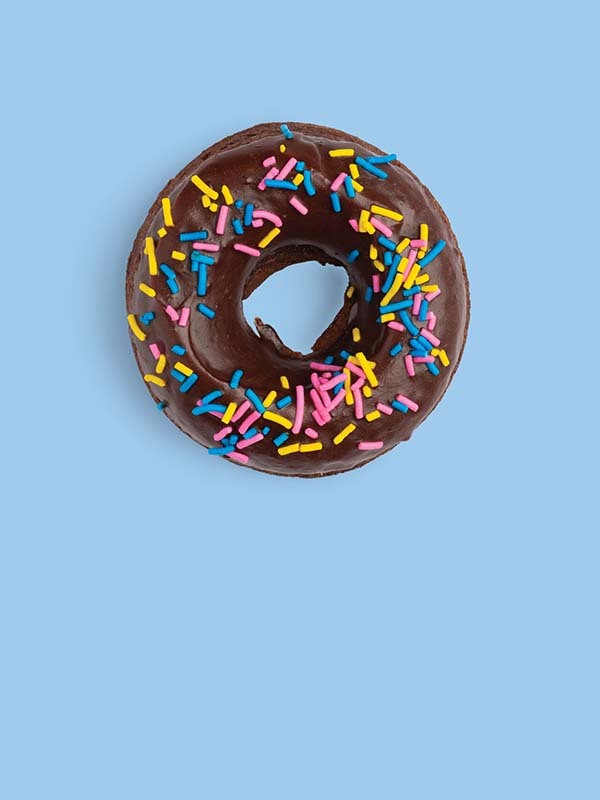 Fast forward a few years, perhaps a few more pounds put on ‘testing’ their creations, and viola, Hoopla Donuts was born. 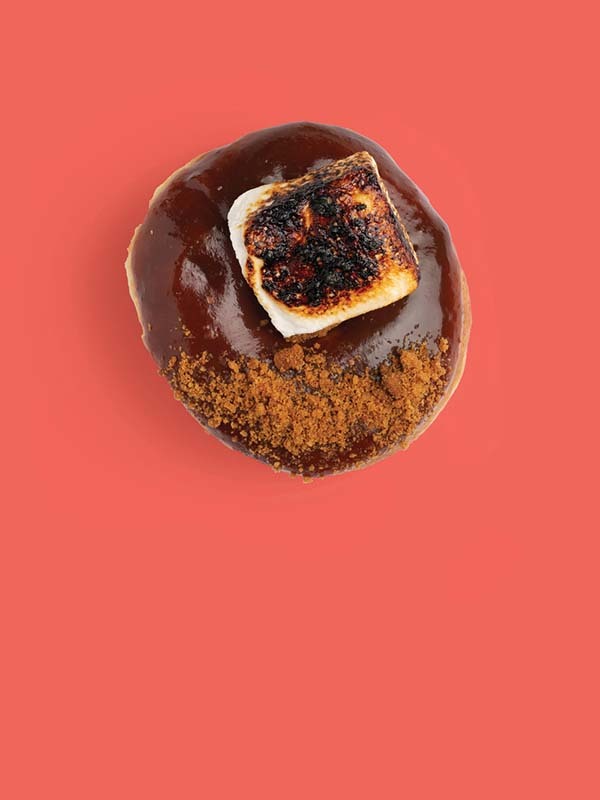 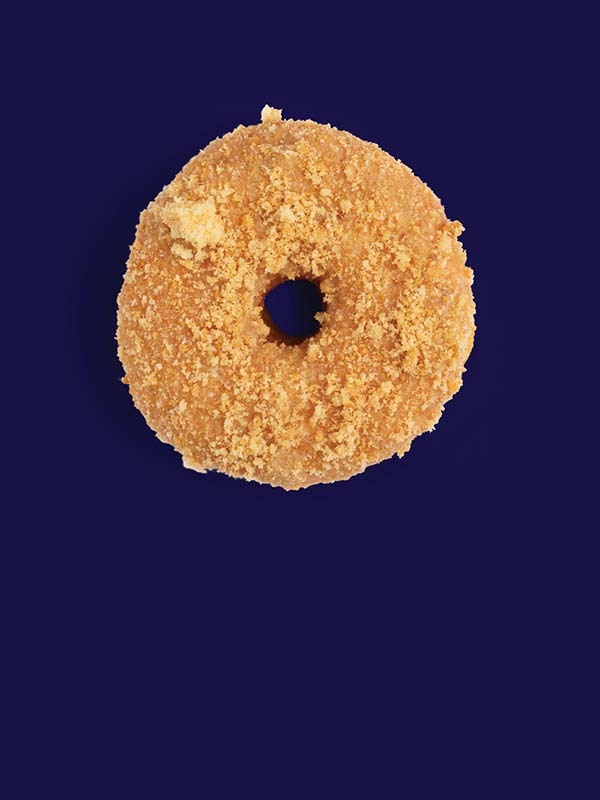 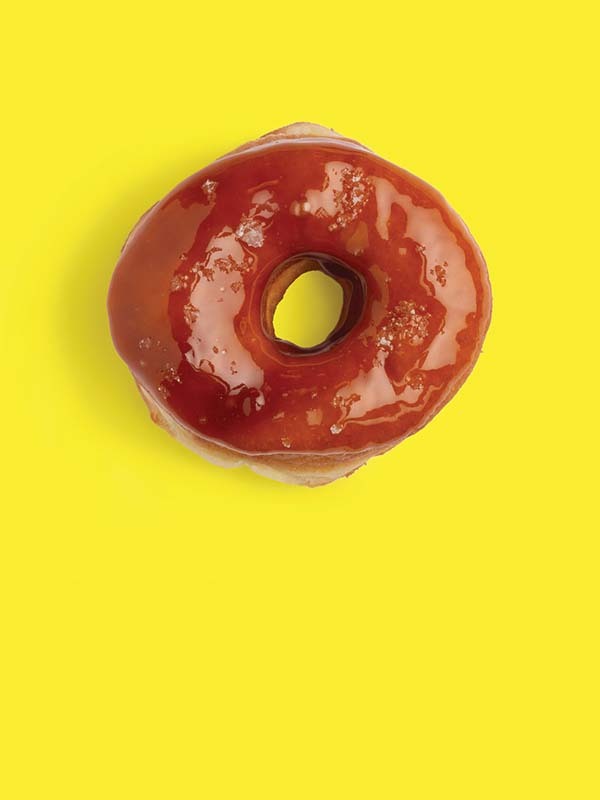 Today—alongside head chef Leslie Morrow—that duo grace the cosmopolitan city of Calgary with fresh, daily made donuts, crafted with real ingredients that elevate the humble sweet treat to soaring new heights of culinary decadence. 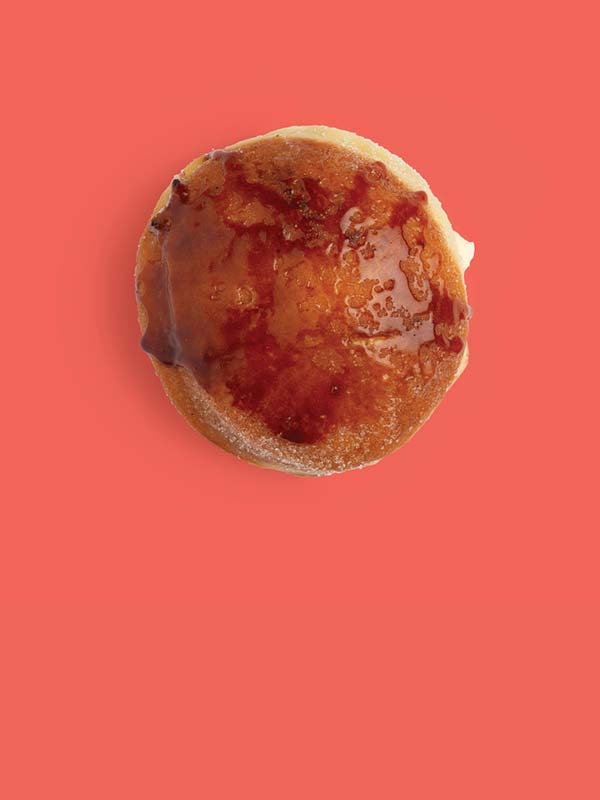 Honey glazed, creme brûlée, coconut cream, churro, strawberry gin jam … there really is something for every taste here. 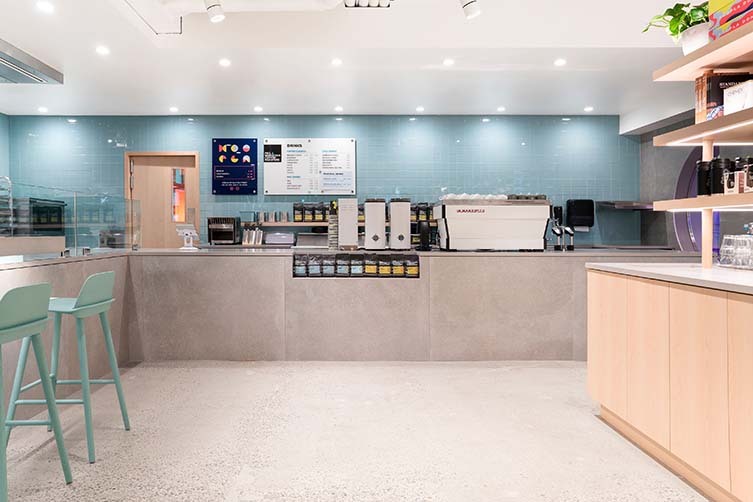 Located next door to the duo’s coffee shop—the eponymous Phil & Sebastian—in Calgary Place (go-on, treat yourself and pair your order with a cup of their exceptional single origin coffee), Hoopla Donuts is a high-style yet comfortable and welcoming space, where the use of clean and simple materials brings new life to downtown thoroughfare in the city they call ‘Cowtown’. 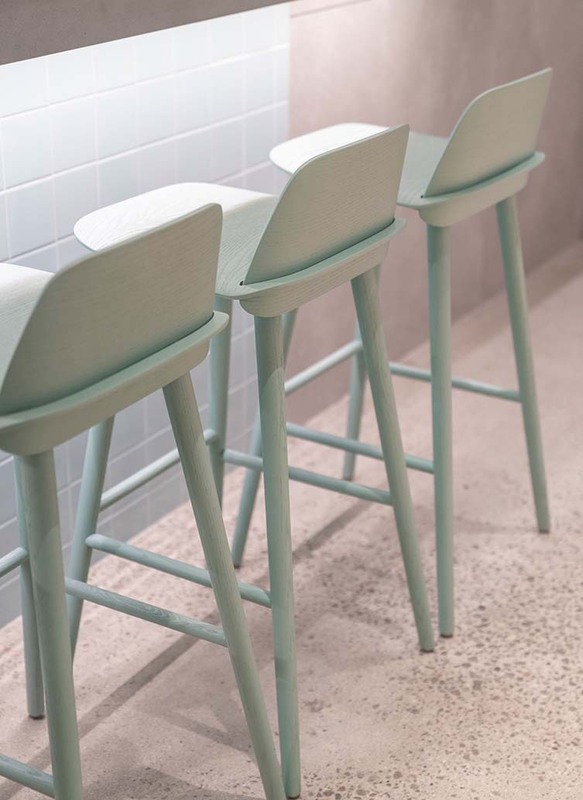 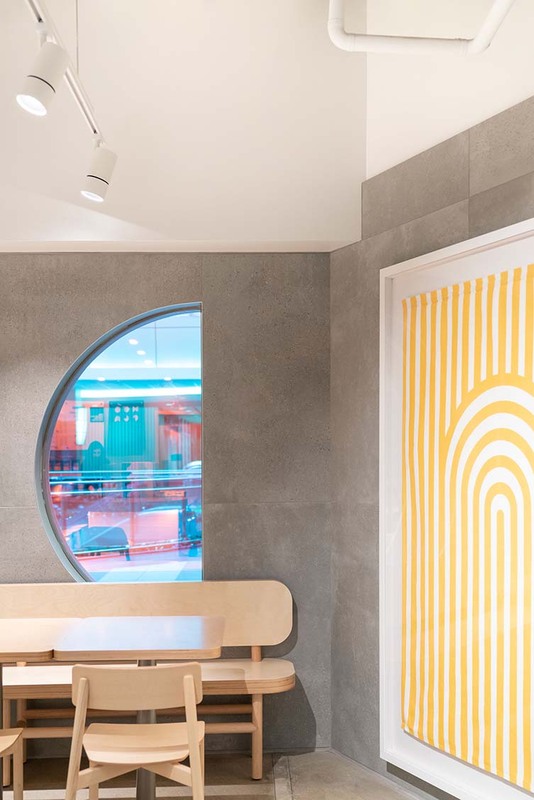 Designed by Mckinley Burkart Architects, the project team consisting of Emma Dwinnell and Diane Cassidy combined soft, playful tones with birch plywood and concrete to create a space that offers an unexpected experience, whilst never taking itself too seriously. 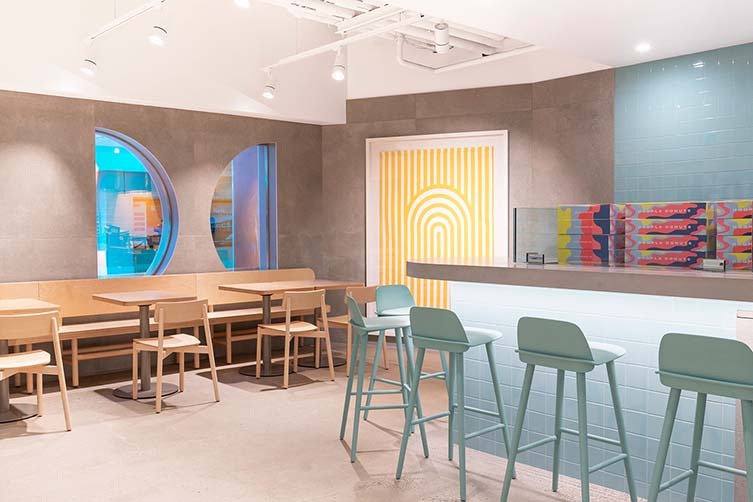 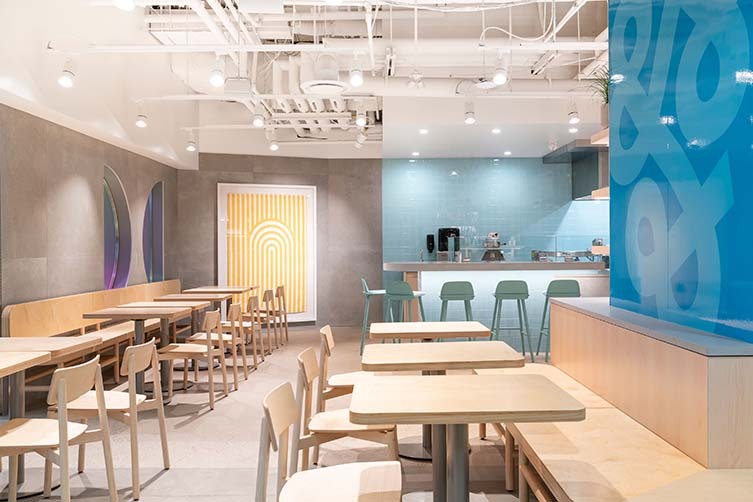 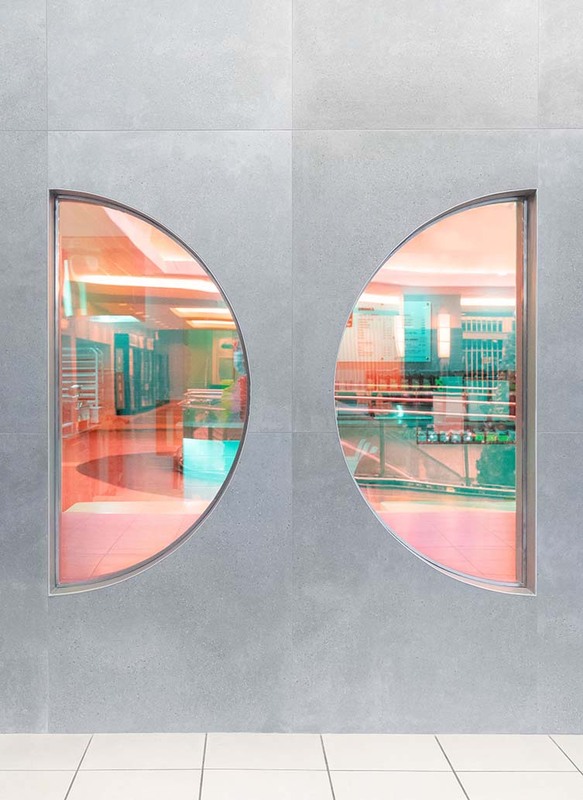 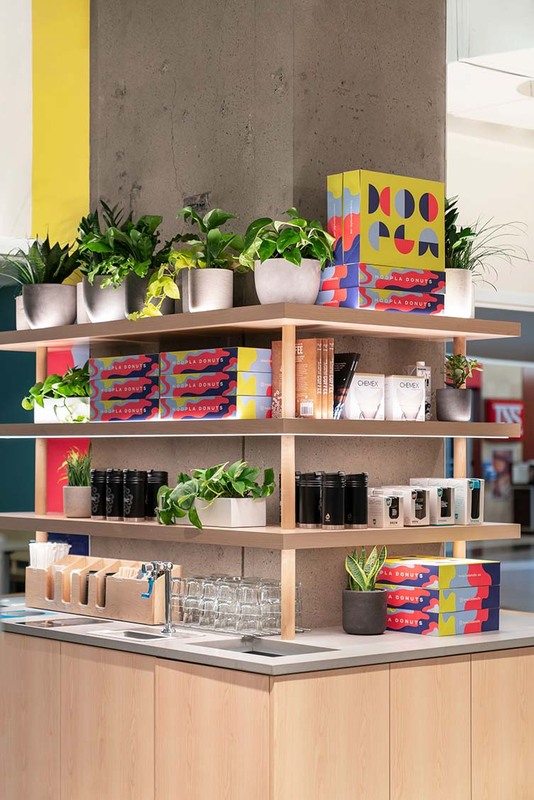 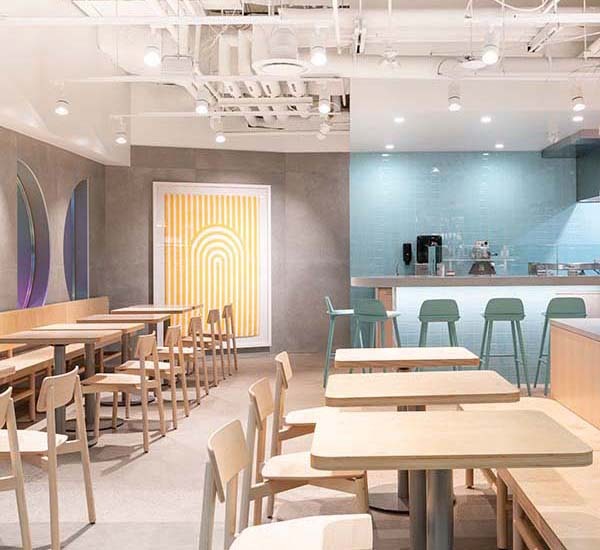 Dichroic glass window inserts and colourful tiles were inspired by the brand colours and donut glaze, and if that isn’t enough to grab the customers attention, the sweet smell of freshly-baked sweet treats and enticing aromas of coffee certainly will.